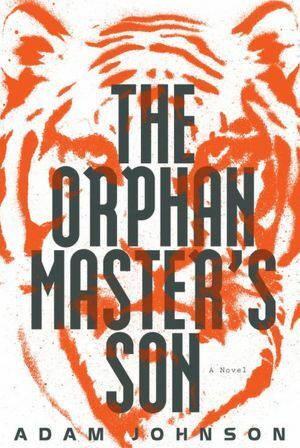 My literary journey through North Korea continues, this time with a novel, Adam Johnson’s The Orphan Master’s Son. Part memoir, part biography, and part propaganda, the novel takes readers to the center of power in North Korea, as it follows Pak Jun Do from the Long Tomorrows orphanage and work camp to the underground offices of Kim Jong-il. Jun Do’s gift is being able to adapt to the stories being told around and about him and even guide the story in a direction of his choosing. The state decides he’s a kidnapper, so he is. He and his shipmates decide he’s a hero, and the state approves, so he’s a hero. In the last half of the book, though, we see the story change. Here, a North Korean interrogator begins telling the story of a man named Commander Ga, a Taekwondo champion, husband of North Korea’s greatest actress, and friend of Kim Jong-il. Commander Ga is now in the interrogator’s chair… or is he? Our narrator cannot be sure. His colleagues insist that the man is an imposter, but their note stating “Is not Commander Ga” gets an immediate answer that says just “Is Commander Ga.” So the interrogator proceeds to extract “Commander Ga’s” story from him—and this story picks up where Jun Do’s left off. The interrogator’s account is interspersed with chapters breathlessly addressed to “Citizens!” These daily announcements are the venue for sharing the year’s “Best North Korean Story.” This “true story of love and sorrow, of faith and redemption, and of the Dear Leader’s unending dedication to even the lowliest citizen of this great nation” stars none other than Commander Ga. The drama of the book becomes not just what will happen to the characters but which story will win out. In fact, part of the book’s cleverness rests in how it’s not clear which victory is most important. If a good man lives, but his story is co-opted by the state, is it a victory? Is there a way for a citizen to control the story? The previous books I’ve read about North Korea show how important the control of information is to controlling the people. The characters in this book seem to have a tacit understanding of what’s going on. Some of this is due to their station in society. If you’ve been to Japan, it’s not hard to figure out there was no Arduous March there. But it’s easier to believe there was. Even those who aren’t so get glimmers of the truth, but it’s hard to hold onto it. Parents will quietly share reassuring stories of inner rebellion with their children, but years of not being able to speak those stories aloud make it easy to forget them when those children are adults. As readers, immersed in multiple, conflicting stories, we’re left uncertain of which events happened and which events are true. Events that actually happened may not be remembered, and events so preposterous they could not have happened may become implanted in people’s minds. So which story is true? In a topsy-turvy way, this book is a testament to the power of story. Stories shape the truth—and not just in North Korea. Thanks for sharing–that was a good discussion! Yikes. I read the introduction to this book so far, and thought it was so funny I read it out loud to Ron and Eleanor. Having to conform to what is said about you, though–yikes! That might hit a little close to home this summer. You don’t have to conform, but you definitely have to live with rumor and innuendo on a small college campus, and you become part of a story told by others. Parts of this were really funny, and also really uncomfortable. For me, the close to home bits had to do with how repetition can make a thing true even when we know it’s not. That’s how a lot of our media seems to work these days. Political conversation becomes all about spreading the most potent memes, rather than getting at the truth of the matter. This is one if those titles that just never made it to the top of my pile. I like your perspective on it. It was reading Barbara Demick’s book and seeing good reviews from Alex and Aarti and a few others that got me to move this up. So glad you read and enjoyed this one! It really is a great companion novel to Demick’s non-fiction. Yes, they go together well. I’ve also seen a few memoirs by former North Koreans mentioned that I may get to at some point (Aquariums of Pyongyang, Escape from Camp 14, and Tears of My Soul). That last one, by a former spy, sounds especially interesting. I haven’t heard of Aquariums of Pyongyang or Tears of My Soul. I read Escape from Camp 14. I didn’t like it as much as Nothing to Envy, but it was a pretty harrowing story. Interesting, too, as the author seemed fairly skeptical about some aspects of the person’s story himself so readers were left to judge on their own. Great review, thank you. It is like a peep into N Korea and a culture which is so alien for many of us. Yes, it does seem like a different world, but elements of it are awfully familiar. I loved this book and read it with two of my book groups. The result was surprising . The group that I thought would appreciate the intricate questions that are being asked about our relations to the narratives that surround us, wanted something much more factual, whereas the one that I thought might struggle with the way it was structured really enjoyed it. You never can tell. Those different reactions are interesting. After reading a couple of factual accounts, I was glad to get something different. I liked the way the structure puts us in the middle of the story, having to choose what to believe. It made the novel seem like something more than a way to point and sneer at a country with so many problems. I read this last year and was amazed by it, a powerful and utterly believable realisation of life in these circumstances. I was also amazed that the author was American and had never been to N. Korea, at least then. EXCELLENT. The way got into the mental processes of the characters was so interesting. Apparently he did visit one time during his research, but he was in the company of minders and certainly didn’t have the long-term access that Barbara Demick or Guy DeLisle did when writing their books. Since reading Nothing to Hide, I have become fascinated with life in North Korea. I just may pick this one up as a result. I’ve seen the title, but since the book looks like something I wouldn’t like, I’ve not paid much attention to it at all. Now I will pay some attention. What surprised me was how relevant it seemed to situations outside North Korea. The other reading I’ve done made some of what happens more believable, but I think the book says more about us than about North Koreans.